“Tablet” grinding the prescious drink – cognac - color amber beads. This way of amber processing requires a lot of accuracy and a patient work while beading. By the moment the necklace wraps your neck, you will evaluate it. Amber shade, depending on the lightning, changes the color from cognac to almost red. 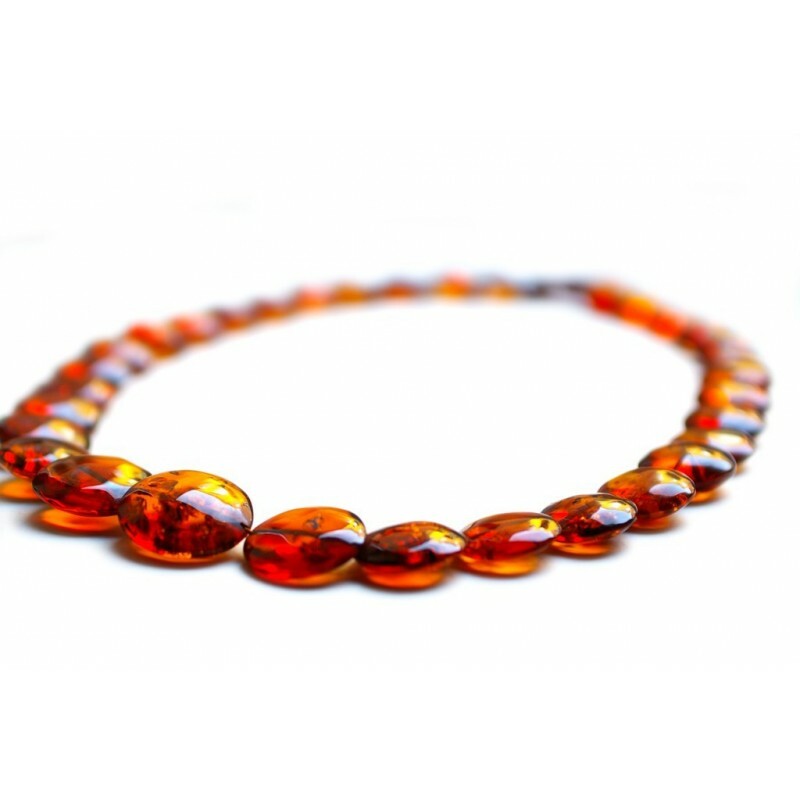 The amber masters extract the red color by heating transparent amber (oxidating it by force).